Finding the best carpet cleaning companies near me is one of the most difficult jobs. This is because landing on the cleaning company which is not reliable can cost you more money and time. But now, your search for the best carpet cleaning service provider comes to an end! We, at All Pro Carpet & Tile Care, provides you with the best possible cleaning services and results. We specialize in providing both residential and commercial carpet cleaning services in Bakersfield. No matter how hard is the stain, dirt or other contaminants on your carpet, we can remove them in no time. Opting the power extraction system, we are able to remove all the stains and dirt that are deep in your carpet. Why Our Carpet Cleaning Services Unique From Others? We take extra measures to keep your home or office allergen free by avoiding the use of harmful chemicals. We deep clean your carpets by using pro equipment and technologies, so that no stain or dirt remain in your carpet. We provide you the satisfactory and useful cleaning solutions to your queries. We Are The Place Where Quality and Affordability Combines Together! Quality matters the most when you are looking for one of the best carpet cleaning companies near me. At All Pro Carpet & Tile Care, we provide carpet cleaning services covering both quality and affordability. All our cleaning services will be available to you at an affordable price where you can remove even the toughest stains in no time. We not only maintain the healthy environment in your residential or commercial space but also extend the life of your carpet. 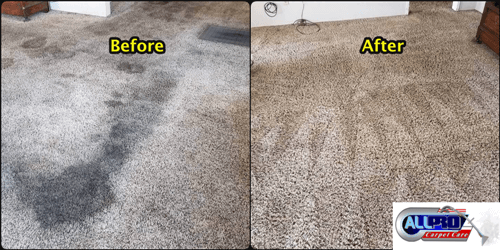 Thus, you can count on us when looking for the quality carpet cleaning services near me, including the usage of harmless products. If for you, quality cleaning results matter the most, then we are your one-stop destination. For more information about carpet cleaning services, kindly contact us at 661-747-4441.